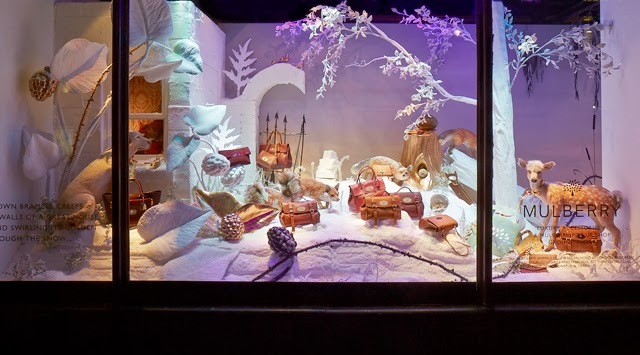 We've already shown you the Harrods Christmas Windows for 2013. Little did we know that there was more to come. Yes, this comes down to irresponsible reporting. We hadn't noticed there were closed windows at the end of the road. Last week, the robes on the windows were lifted and a winter wonderland was revealed. 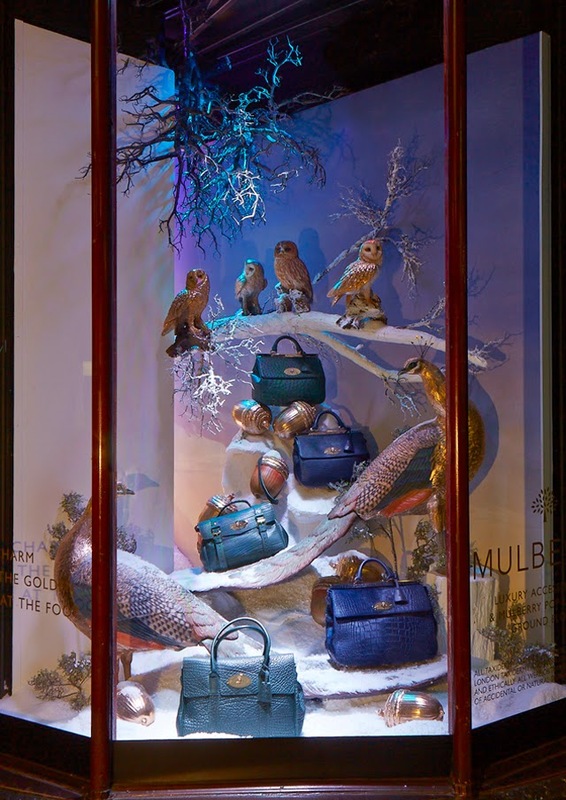 Mulberry had taken over the end section of Harrods and transformed the space into a winter forest complete with woodland animals and snow covered hills. 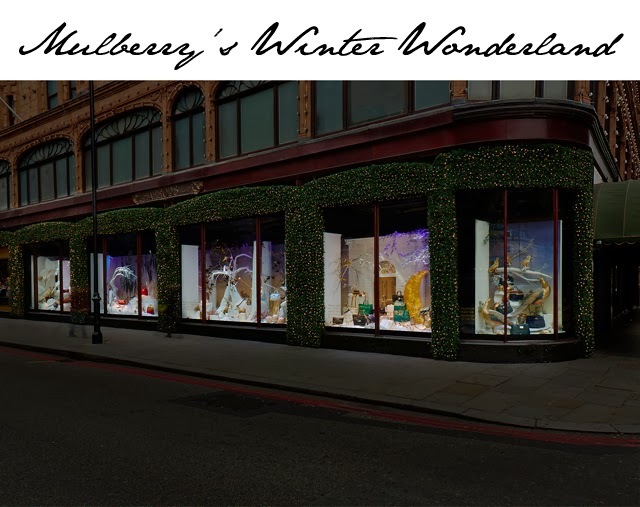 Scattered throughout the beautiful setting, we find Mulberry's gifting selection for Christmas, which are all available to buy in the Christmas pop-up found within Harrods. 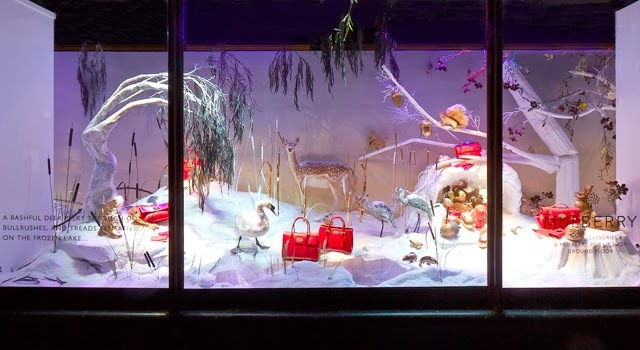 Oh if only you could find a Bayswater bag while tripping through the snow!